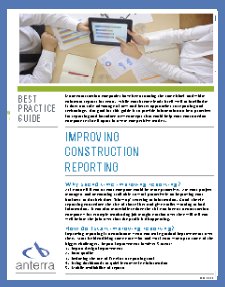 Anterra has published a free best practices guide for improving construction reporting. This guide is intended to help CFO’s, Controllers and IT managers look at their reporting in 5 key areas. This guide is free and can be downloaded by clicking here.